Apple Watch Archives - Dohmen Capital Research, Inc.
Will The Apple Watch Flop? 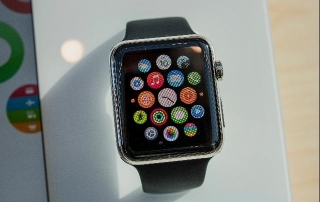 The Apple Watch, formerly known as the “iWatch,” made its debut last week. TV reporters were at Apple stores hoping to report on the assumed big crowds. But there weren’t any. It was a strange “launch” because people couldn’t get the watch, just place an order online. What to do when there is no crowd? Interview the CEO, Tim Cook. He was all excited about the congratulatory phone calls he received from around the world. He didn’t say how many watches he sold on those calls.